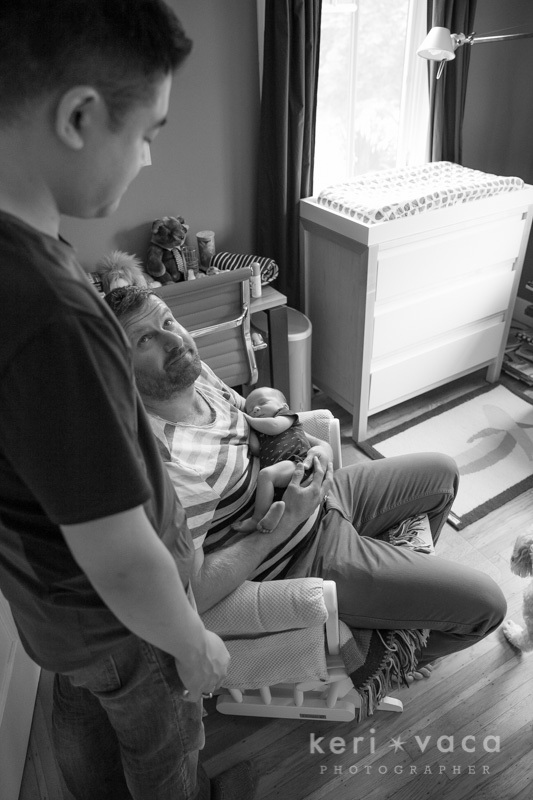 When Karl contacted me to set up a newborn photography session, in their home in Oakland, I was beyond excited. From his first email, I knew I wanted to be their family photographer. I love photographing all kinds of families. 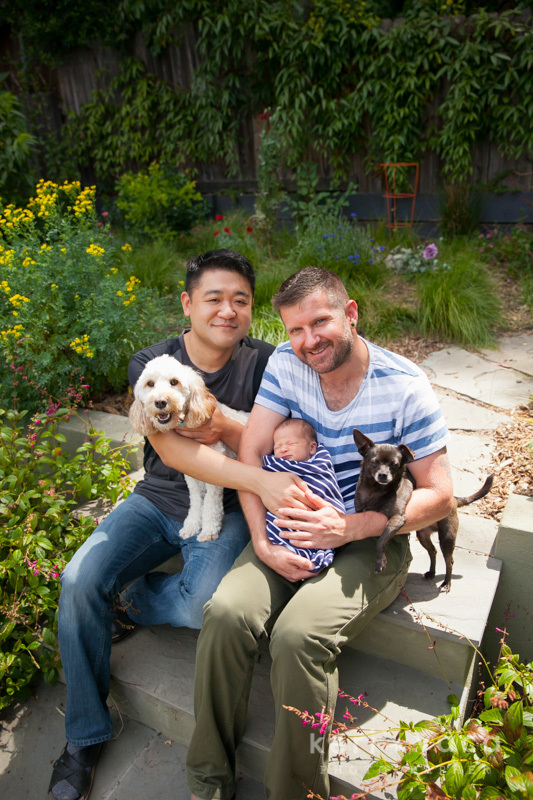 Karl and Bret were expecting their first baby, via surrogacy, in June. Karl explained how their baby would be born in Oregon and questioned how we would time the newborn photos. We discussed that they would keep me posted on his arrival and we would plan for newborn photo shoot when they got back. 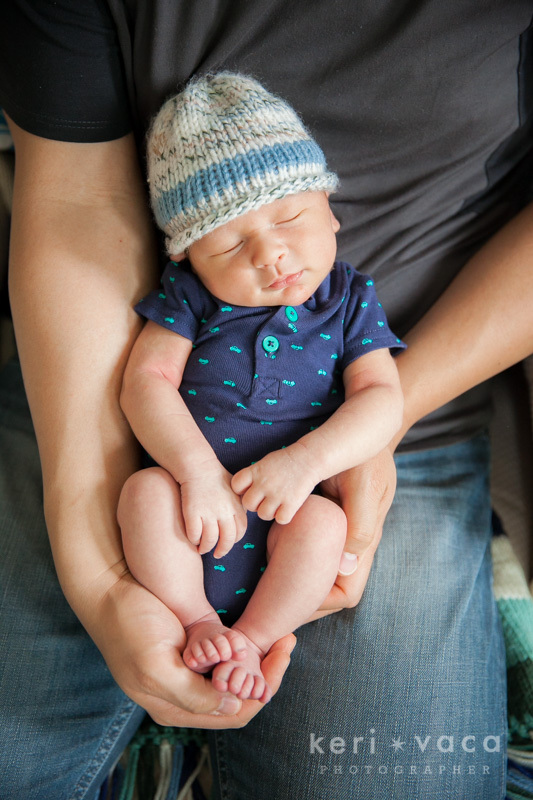 As we all know, newborns do things on their own schedule, and Tobias arrived in May, a few weeks early! They always keep us on our toes, don’t they? Even with his early arrival, we were still able to get to Tobias’s newborn photos taken within the first two weeks of birth. That is the optimal time, while they are still sleepy and still so very tiny. When I first walked in and met Karl, Bret and Tobias, they gave me a special introduction to their first “babies”-the dogs, and all was good. I love the energy animals bring to a home. They loved Tobias already. They watched our every move to make sure we were being good to Tobias. Like all new parents, they were worried if I could shoot around all of the “baby paraphernalia” they had collected. I reassured them that everyone has tons of baby stuff and it wouldn’t be a problem. I have become very good at shooting around it. It is a part of the drill. Because the focus is on the little tiny newborn features, it is very easy to crop out the stuff in the background. Isn’t it crazy how such a new, little human could need so much stuff? 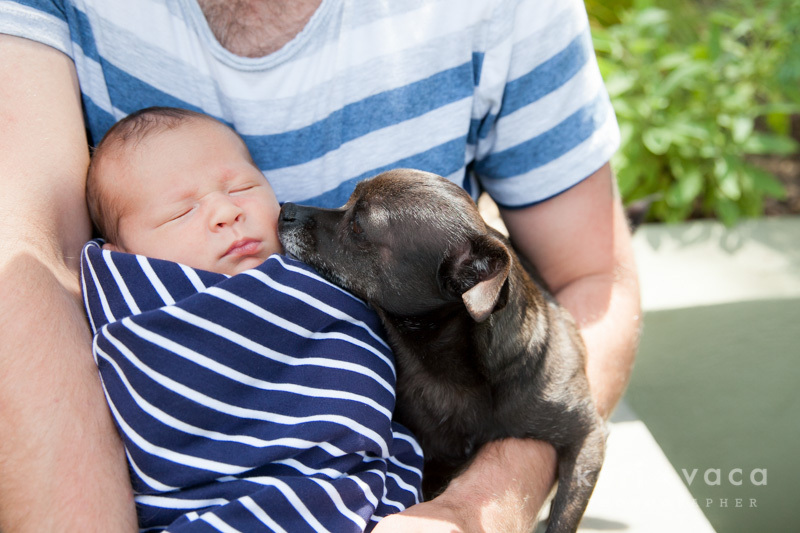 Bret had spent a lot of time landscaping the yard so we took advantage and got some outdoor newborn shots as well. The weather in Oakland was perfect that day! Couldn’t have asked for better. We shot inside and out. there was no shortage of pretty backdrops. I always love taking photos in the nursery. Tobias’s nursery was just perfect. Karl and Bret said they didn’t want a theme, they just wanted things that would be fun for Tobias to look at. They did a great job. There were lots of engaging colors and things to look at for baby Tobias. 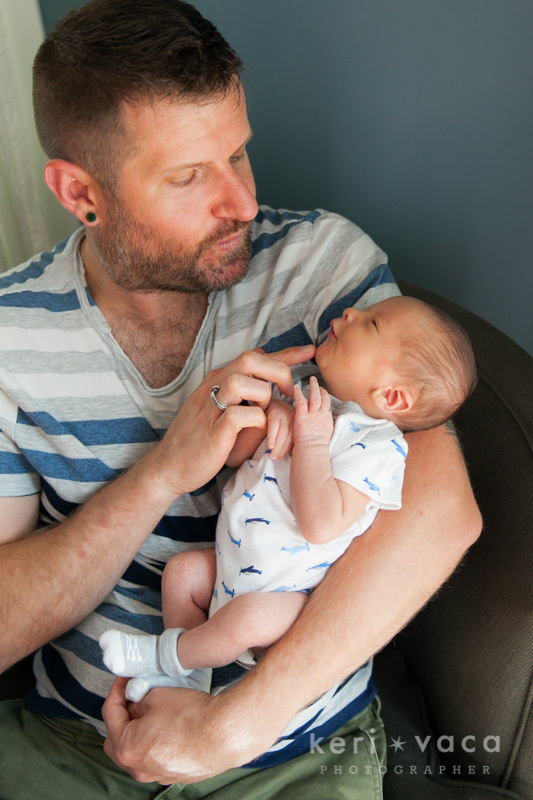 I loved watching these two new dads figure out this parenting thing. They both had such a special bond with Tobias already. It really is such a unique time. You are only a first time parent once. They seemed to really be in a groove already, I was very impressed. Can’t wait for our next shoot.